India’s largest publicly traded retailer, Pantaloon Retail (India) Ltd, will make its formal entry into the gourmet food business with its Gourmet Food Bazaar targeting those Indians with a global palate and a wallet to match. Pantaloon will open the first 4,500 sq. ft store in Select Citywalk mall, an upscale new shopping mall in south Delhi, this week. Mint first reported in April that Pantaloon was going to enter this category with stores in New Delhi, Bangalore and Mumbai. “We believe in food. Also there is the customer that is ready for more lifestyle shopping, more branded items and more international cuisine," said Damodar Mall, who heads the company’s ventures into new businesses. Mall declined to say how many gourmet stores the company plans to open. 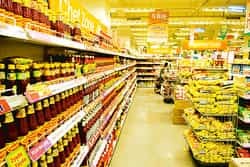 A recent report by consultant Ernst & Young says food and grocery constitute almost 54% or $152 billion (Rs5.99 trillion) of India’s total annual retail business but modern retailers account for just 1% of that market. A growing number of organized retailers in India have plans to target the food market and are opening thousands of grocery stores throughout the country in coming years. Mumbai-based HyperCity Retail Pvt. Ltd is also planning to launch GourmetCity next year. HyperCity, which runs a hypermarket in Mumbai’s western suburb of Malad, has a counter for imported cheeses, handmade chocolates, cold cuts, marinated meats, a bakery and stocks gourmet food from British supermarket chain, Waitrose. Godrej Agrovet Ltd also recently relaunched some of the stores in its Nature’s Basketsupermarket chain to stock a range of imported food products including wine, organic pasta, wasabi, HagenDaz ice cream, etc. Gourmet Food Bazaar plans to stock Indian as well as imported food products in the store. “There will be a livebakery, lots of cheese, sandwiches, there will be a salad bar and many imported foreign brands will be there," Mall said. The Future Group, Pantaloon’s parent, also recently took a stake in Sula Wines, a domestic wine company, and now stocks Sula wine at some of its Food Bazaar stores. Saumya Roy in Mumbai contributed to this story.